My fifth product on the DMsGuild is now LIVE! 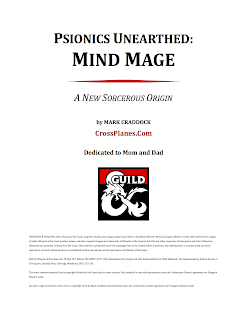 Psionics Unearthed: Mind Mage is my first product that is not a revision or expansion of a project I posted about here on my blog. 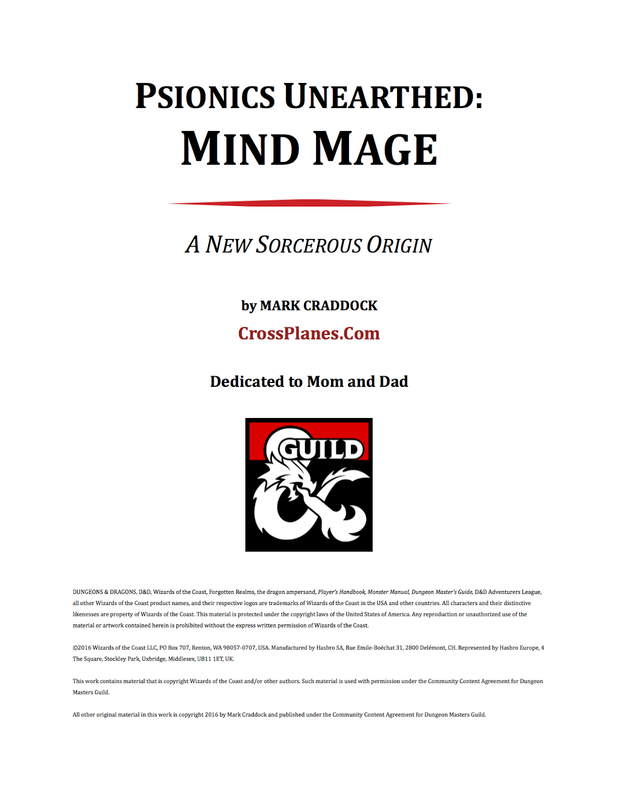 Mind Mages are a Sorcerous Origin with a psionic bloodline that focus on telepathy.